Travel with me to the beautiful Sonoma Valley in California's fertile wine region where fields of vineyards drape over the landscape and the warm sun bathes everything in golden light. 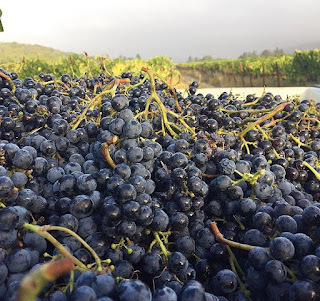 Nestled between two mountain ranges it carries the heritage of the oldest wineries in the state, and is the home of wine-making mama, Abigail Zimmerman. Abi and her husband, Dean, purchased Annadel Estate Winery in 2007 and have been working on the restoration of their 1890's farmhouse and the grounds of the estate since 2008. 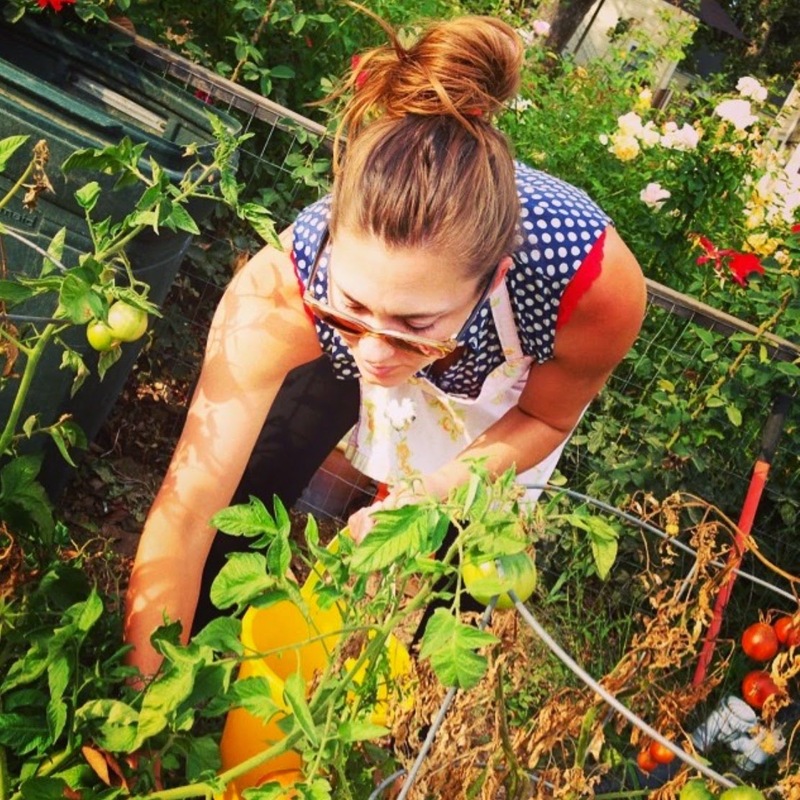 Along with their two children and dog Bodie, the Zimmermans enjoy life at the top of the valley where they cook dinner together each night, bask in the glorious sunsets and enjoy the slower pace of life outside the city. 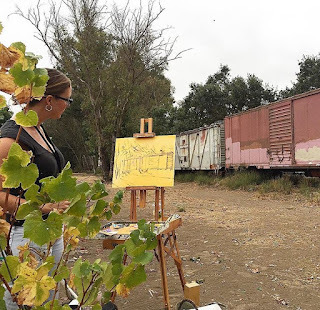 Then, after the kids are asleep and Abigail is (most likely) painting in her studio, a coastal haze rolls in from the ocean, caressing the vines and lending a distinctive flavor to the grapes. Preparing for an open studio as part of Sonoma County's Art Trails. Abi hasn't always lived the dreamy and romantic lifestyle she enjoys now. A former career woman with NASA for ten years, she decided to trade in the corporate world for the life of a "cellar rat" and devote herself to a "healthier, seasonal, fully artistic life in Sonoma Valley." 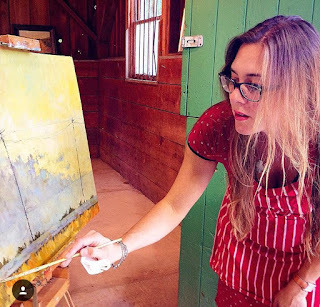 She refers to herself as a "kitchen cook", admits to being a food nerd and is a self-taught painter with her first solo art show coming up soon. 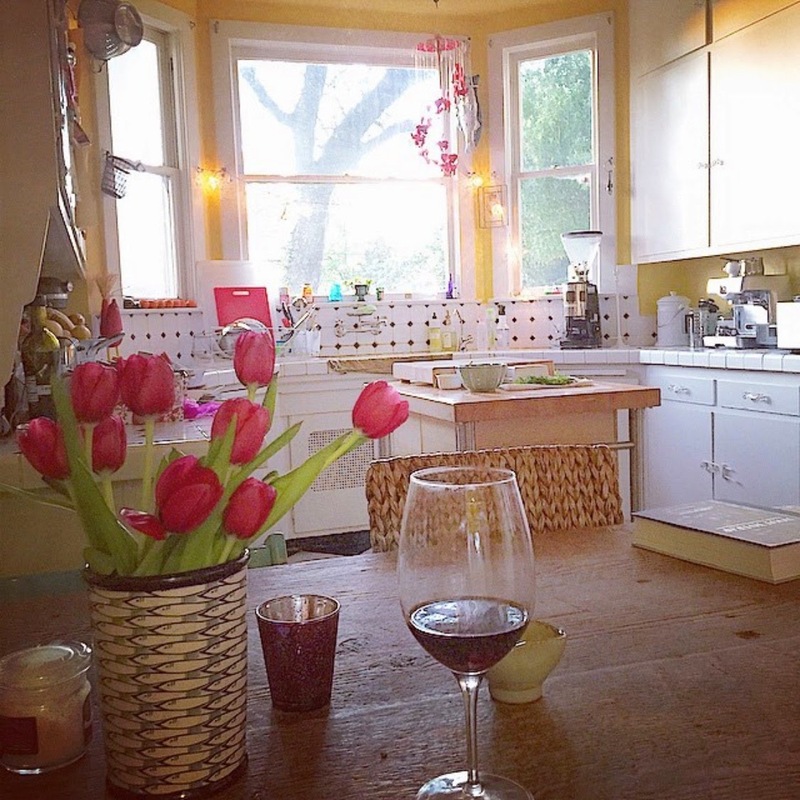 About her home, she says, "I am a food lover learning as I go in our old Victorian farmhouse last renovated in 1939. We literally live between wars. Our walls are horsehair and plaster and I learned to cook on a 1941 Occidental Automatic stove - which we found in the carriage house - and now have modernized to a 6-burner, 2-stove Wolf Range." 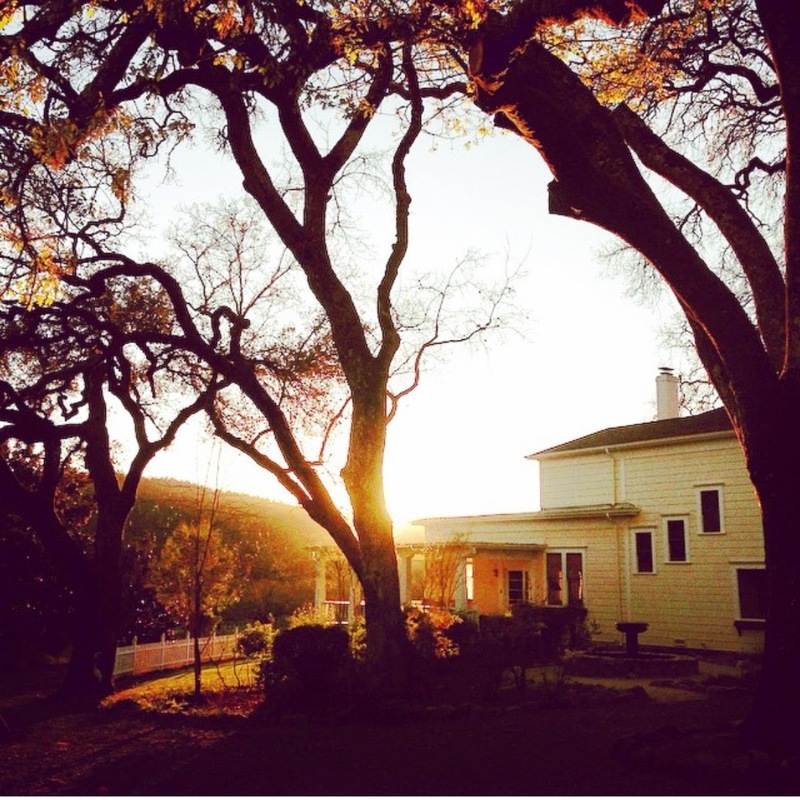 Living in Sonoma has been a deliberate choice to get back to a slower pace of life. She muses, "Sonoma is a return to basics. A step away from gridlock and desks and clocked-in and clocked-out days. 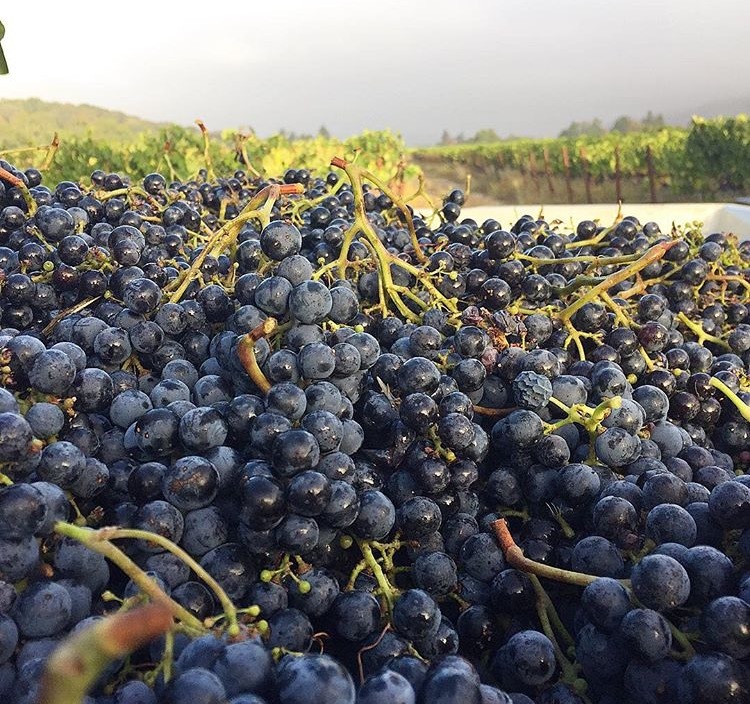 Sonoma is a return to primal, circadian rhythms of seasons and harvests of grapes, vegetables, olives and countless other food stuffs. 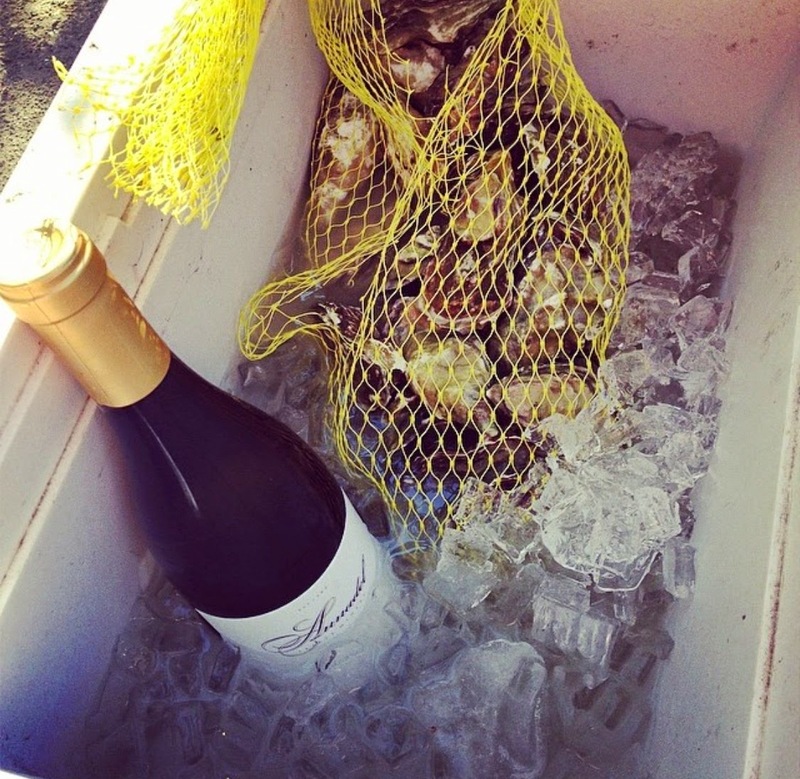 Eating as close to the source is a way of life in Sonoma. For me and our little family, good food, art, and wine is proof of love. For each other. Our family. And friends." 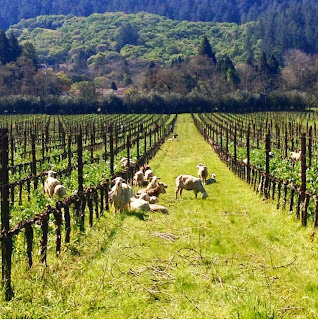 The organic vineyards of Annadel are seeded with a crop cover before the rainy season starts. 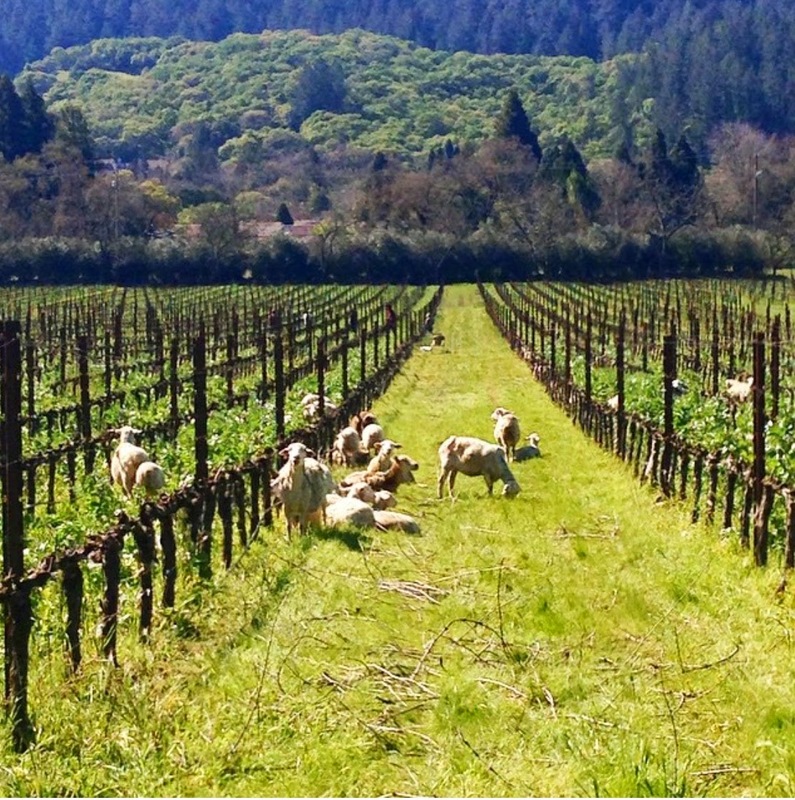 The sheep are then let loose in the vineyard before the buds burst onto the vines. They eat all the nitrogen-rich crops, then poop it all out, making excellent organic fertilizer as it's punched into the soil with their tiny, sharp hooves. Working in one of the gardens at the estate. 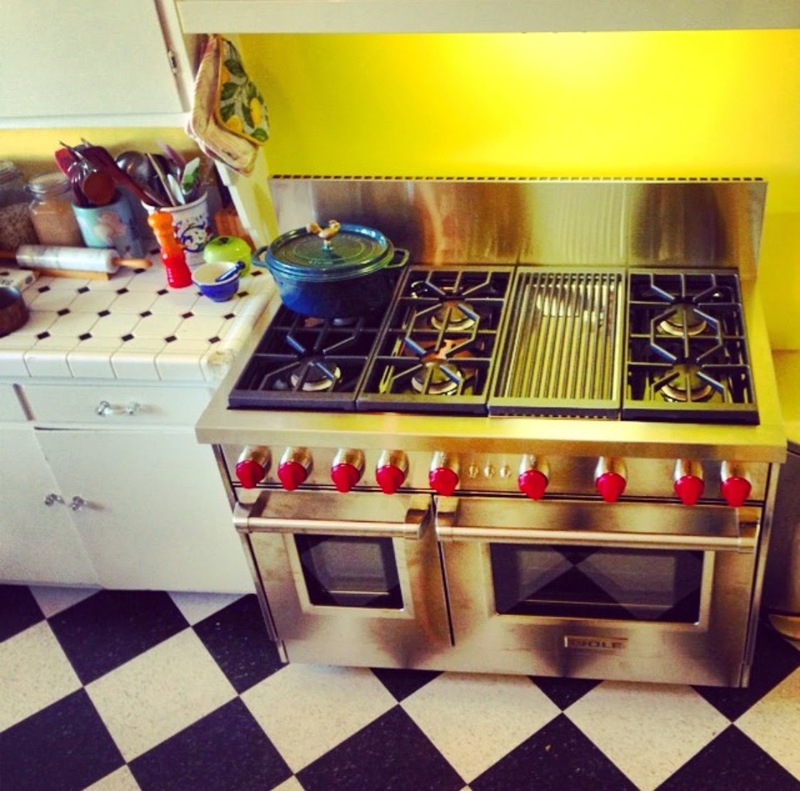 Abigail learned to cook on an old 1940's cook stove found on the estate. She soon upgraded to this Wolf Range which makes cooking much easier. 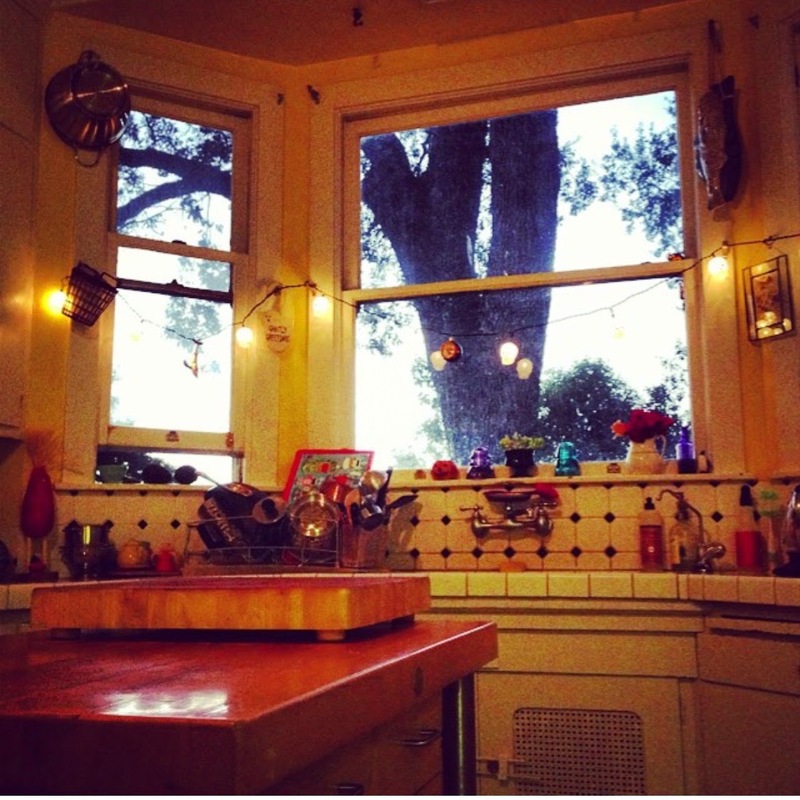 While cooking in an 1800's farmhouse sounds dreamy, there are disadvantages. Abigail complains of not enough counter space, and not enough electrical capacity for the stove and the fridge. This means her refrigerator is kept in an adjacent mud room. The rolling island, a new addition, is a great space for food prep. Abigail does most of the cooking, although loves it when her husband grills. 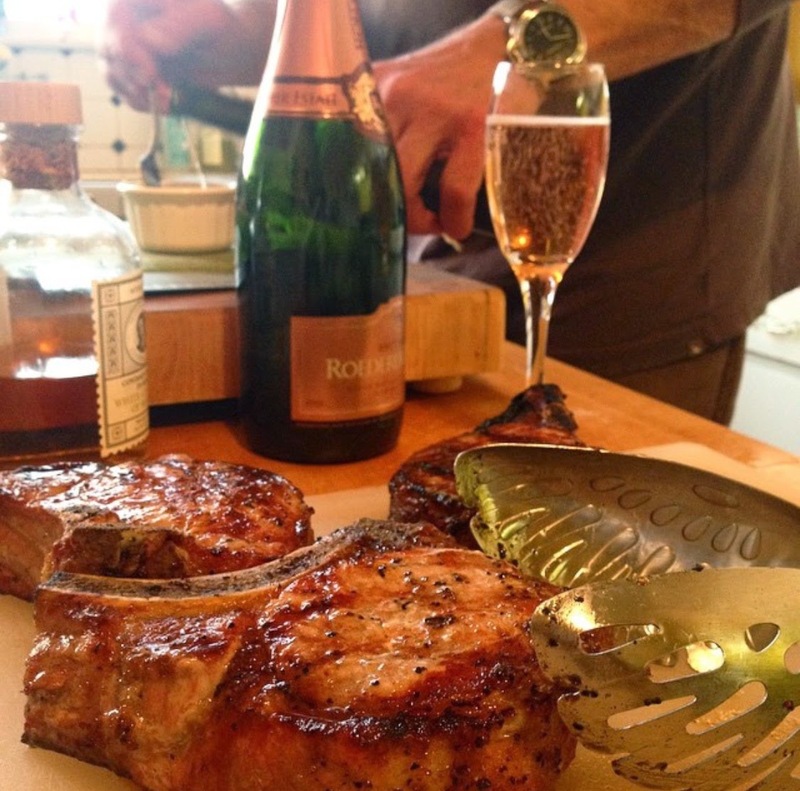 This was a recent dinner of grilled pork, blistered asparagus and Champagne. And when husband, Dean, motorcycles to the coast, he brings back fresh oysters from Tomales Bay. Yum! 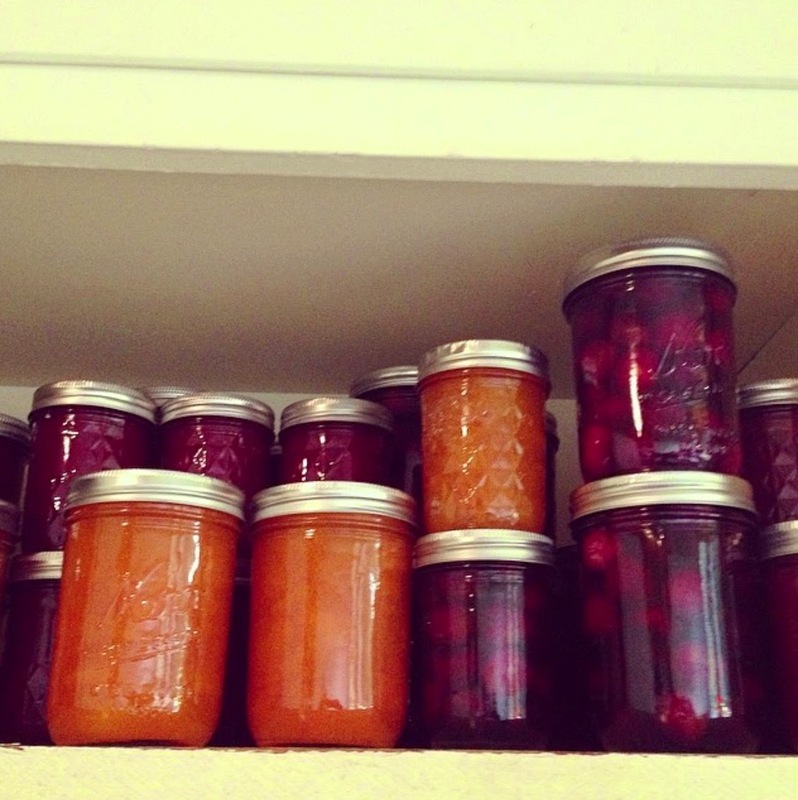 The stone fruit orchard on the estate produces plenty of fruit for making jam. When plums are in season, Abigail cans at least 15-20 jars of plum jam which she uses for topping anything from toast to ice cream. 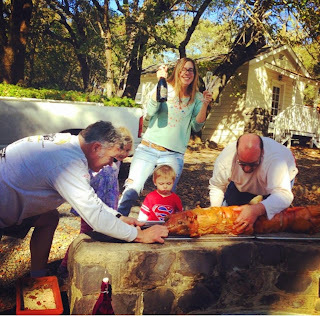 For special events at Annadel, like their Annual Barn Party in the fall, they team up with Chef friends to do something great. Here they are preparing to roast two pigs with Chef Adolfo Veronese. In their 1880's dining room, - perfect for hosting lunches with visiting Chefs, artists or friends - the remnants of a lovely afternoon. 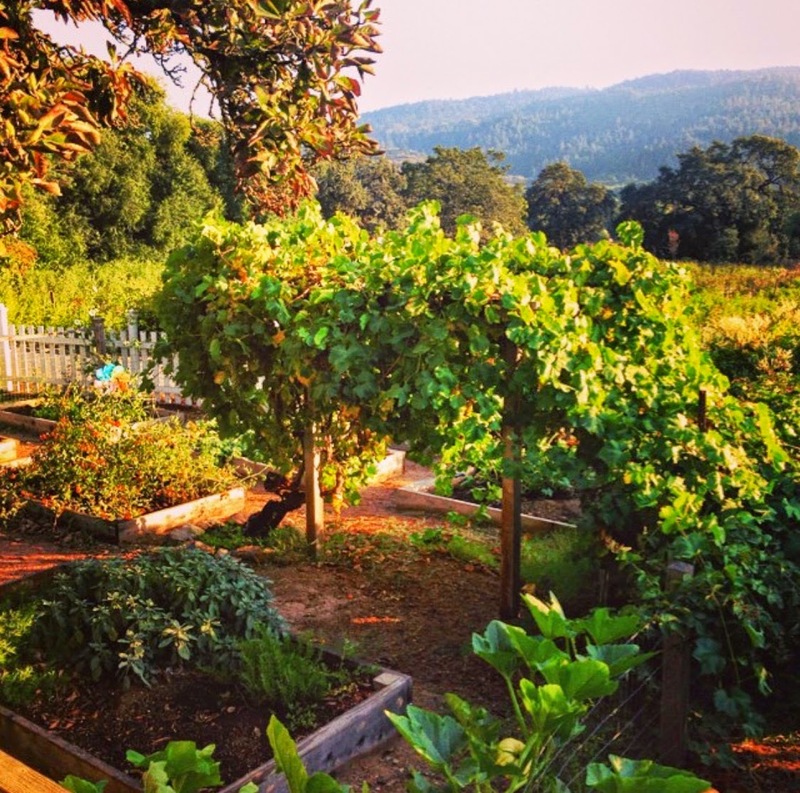 Harvesting Merlot grapes as a family, toddlers included, is another charming feature of Annadel. 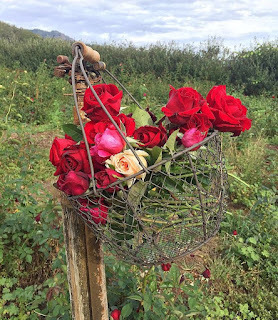 Annadel's gardens boast thousands of rose bushes whose blossoms are used by florists and brides around the state. Kicking off Sonoma Plein Aire Festival with a first painting, "Abandoned Trains in a Vineyard." § Fresh herbs: I bought Thyme but have Sage and Rosemary growing in the garden and dried Oregano in the Pantry. Think 1-2 tablespoons of each. Remove from oven when finished and uncover. Let chicken stand for 5-10 minutes. Carve up. Serve alone for a deliciously protein-rich meal or with a fresh local greens salad. You can also roast root vegetables, onions and potatoes with this dish with a few more steps. We served solo last night. All photos courtesy of Abigail Zimmerman and used with permission. 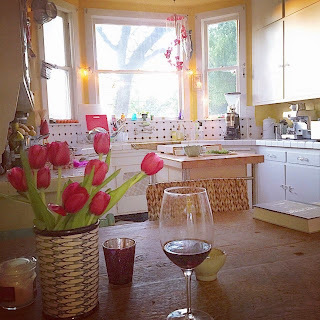 To view her blog, click here: Abi's Farmhouse Kitchen. Great piece! Loved seeing Abigail on her home turf. Thank you, Ms. Kathy. 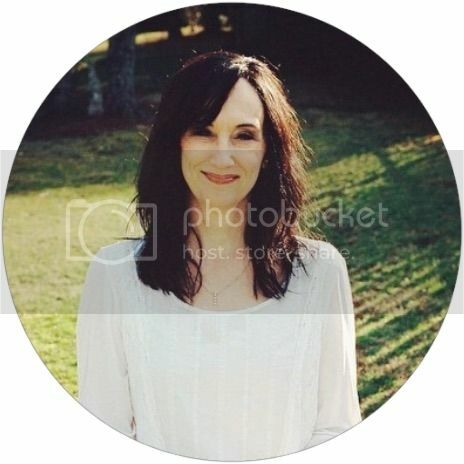 She is wonderfully talented and was a joy to write about!